Spring Clean Carpets is an upholstery cleaning company serving all of Salt Lake and Utah Counties, including Saratoga Springs, Herriman, and Highland. No matter the type of upholstery, from leather to linen, we have the training, tools, and experience you want to make it look like new again! 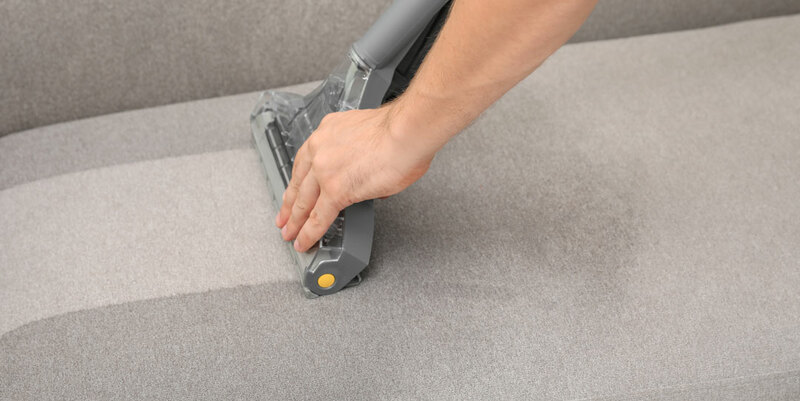 What Makes Our Upholstery Cleaning Different than Others? Not every upholstery cleaning company will provide you with the high standard service you can expect from Spring Clean Carpets. We’re proud of the work we provide, with amazing results that speak for themselves. We are careful with your furniture, treating it like our own and making sure that each piece receives a thorough and complete clean. To accomplish this, we only use furniture cleaning solutions that won’t harm the quality of your furniture or leave uneven bleached spots. ​Our upholstery cleaning company has been in business for over 10 years. In that time, we’ve learned which are the best solutions and methods for removing stains or cleaning generic wear, tear and oils that build up in upholstery. We stay updated on new cleaning techniques and products so that we can continue to provide you with the best service. Not completely satisfied with our upholstery cleaning services? We’ll come back and clean all your furniture again. Your satisfaction is our top priority, and we will do all that we can to reach that goal. There’s a reason our customers keep coming back to Spring Clean for their upholstery and furniture cleaning services. Find out for yourself just how easy it can be to make your furniture upholstery look like new with help from our trained team. Contact us today!